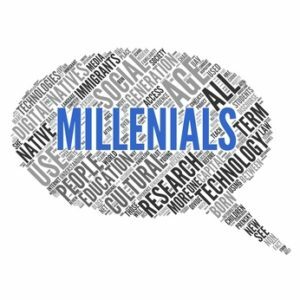 Why Minneapolis Millenials May Change Your Cash Flow | Your best resource for buying, selling, owning and investing in duplexes and duplex homes. Odds are you’ve seen a lot of headlines about “The Millenials” lately. And if you’re anything like me, you’ve wondered why they’re such a big deal. Well, if you’re a Minneapolis or St. Paul duplex or rental property owner, they should be a very big deal. They’re about to change your cash flow. According to an article in the Minneapolis StarTribune, they are the young adults born in the 1980’s and 1990’s, whose population in Hennepin County alone has risen almost 25 percent the last seven years. The reason? One of the lowest unemployment rates in the nation. Lured by the prospect of employment, these 20 and 30-somethings have helped drive Twin Cities rental vacancy rates down, and rent up nearly 40 percent over the same stretch. High rents and low vacancy rates have made duplex and investment property owners who otherwise may have moved on reluctant to sell. This has in turn, caused low inventory levels in the duplex, triplex and fourplex market; at a time when low interest rates have inspired many to buy. When high demand meets low supply, prices go up. It’s been the best possible scenario for rental property owners. However, according to a number of economoists those tenants are about to become homebuyers. In fact, acfcording to Realtor.com’s 2015 Housing Forecast, 42 percent of millenials say they want to buy a home in the next five years. In other words, they’re expected to drive two-thirds of the housing activity over that span of time. Until now, millenials have largely stayed away from buying due to economic pressures, tighter lending standards, and a general desire to postpone major life changes like marriage and families. With millennial family growth rising and an improving economy, the forecast is for more of them to become homebuyers. And what this means to duplex owners is a rise in vacancy rates, rent decreases, and changes in resale value. In other words, the days of ever escalating rent may be coming to an end, and we may once again be headed for promotional give aways (first month free, free cable, etc.) to attract tenants. If you’ve been even remotely thinking about selling your Minneapolis or St. Paul duplex, this should set off alarm bells in your head. Right now, Twin Cities investment property sellers don’t have a lot of competition in the marketplace. That means duplex sellers are getting premium prices, because buyers don’t have many choices. That means it’s a great time to sell.